In Nepal, the absence of directly elected local representatives complicates local action on sustainability. However, municipalities can act on waste. Previously, the separation and management of waste has been seen by citizens as the entire responsibility of the municipality. 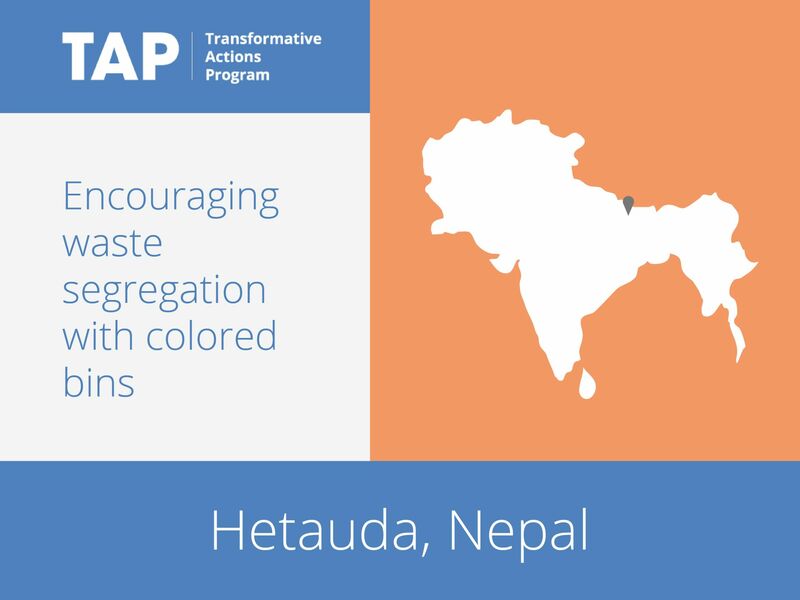 Through its “Towards Zero Waste” scheme, Hetauda has succeeded in engaging citizens through the provision of separate bins and collections for organic and recyclable waste. Currently around 2,500 households are involved. The municipality now hopes to upscale the project, involving 4,000 households.